There are several facet designs that have a "star" cut! 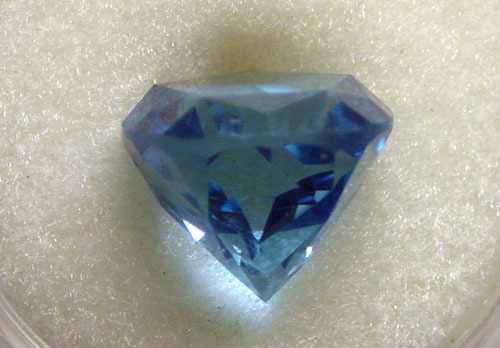 Some Dealers may even call them the "Lone Star Cut"
the Official State Gemstone Cut of Texas. there are major differences in appearance. maximum brilliance of the star. is to make the star the main feature that you see. 1.Some designs don't polish the star. So the star doesn't reflect? That's right! This kind of defeats the purpose of a brilliant stone, doesn't it? reflections hiding it, they cut an unpolished border around the star. star the MOST visible reflection. back to Earth. An ordinary mirror wouldn't be reflective enough. can't get a fully polished stone to reflect more light. out brilliantly from a distance! You don't have to play "find the star". THAT is why we feel our design is the best on the market today. "Official State Gemstone Cut of Texas". and requires a deep stone mounting. usually will not fit in a regular mount.